Single use plastic bags have been making negative headlines of late and why not? When before it was hailed as a solution to contain and transport goods such as foods, produce, powders, ice, magazines, chemicals, and waste, it is now as seen as sealife killer and destroyer of the environment. Plastic bags don’t biodegrade, they photodegrade – breaking down into smaller and smaller toxic bits. A plastic bag can take between 400 to 1,000 years to break down in the environment. As it breaks down, plastic particles contaminate soil and waterways and enter the food web when animals accidentally ingest them. The world produces over 1 trillion plastic bags every year, the majority of these are single-use and dumped into landfill and oceans. 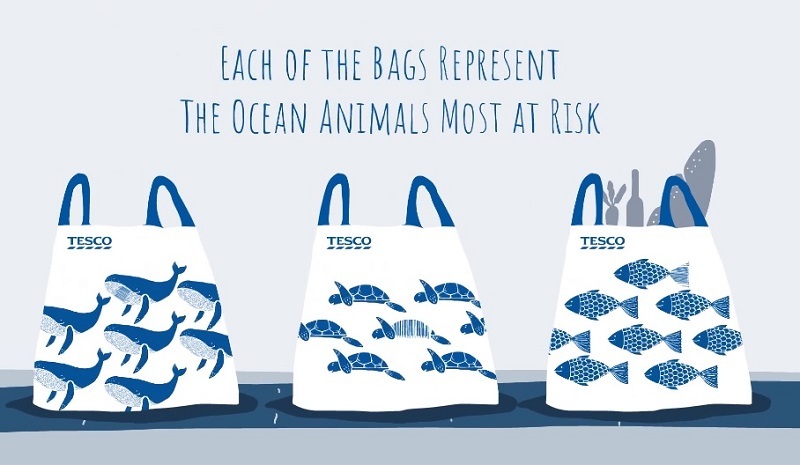 Tesco came up with an innovative campaign to reduce plastic pollution in Malaysia. The British supermarket group introduced new bags that are made of recyclable material. Each of the them contain a barcode, which will provide customers a 20 cents rebate on shopping at Tesco. The results have been quite spectacular so far. The Tesco trial – the first of its kind by a major hypermarket in Malaysia – limits the bag discounts to two per transaction. Tesco estimates that the Unforgettable Bag will reduce the use of plastic bags in its stores with 5 million pieces this year.